Despite the government’s review of human rights violations in the wake of the 2011 protests, Bahrain has failed to make any reforms and respect for human rights has deteriorated further. Bahrain continues to use harsh anti-protest laws to suppress opposition, human rights defenders and peaceful protesters are detained and subjected to torture and other ill-treatment, with a lack of prompt, impartial and thorough investigations into allegations. 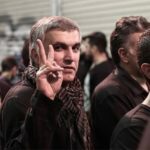 In 2016, the government’s crackdown on dissent has intensified: prominent human rights defenders have been detained on vague charges such as “incitement to hatred against the regime” or issued travel bans preventing them from engaging in international fora, such as the UN Human Rights Council. The crackdown has even extended to relatives of human rights defenders, who have been harassed, threatened and prosecuted on trumped-up charges. Political opposition leaders have been arrested and major opposition parties disbanded. The media is highly restricted; Bahrain’s only opposition newspaper, Al Wasat, was shut down in June 2017 reportedly for “defaming a sisterly Arab country”. 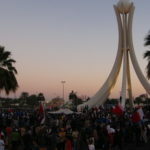 ARTICLE 19 monitors rights to freedom of expression and assembly in Bahrain. We do advocacy and support our local partners through joint Universal Periodic Review submissions and other advocacy at the UN, in addition to letters, statements and press events.